Start Your Faith Formation Year! 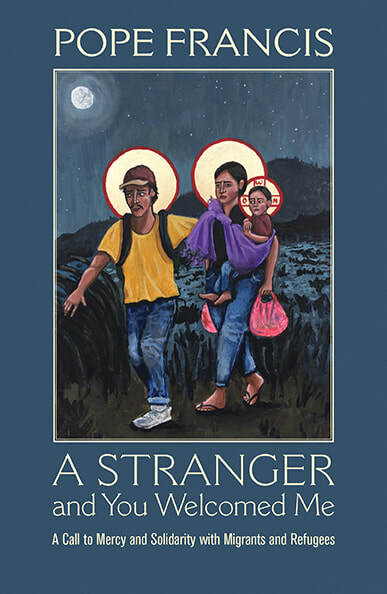 CLICK HERE for USCCB Justice for Immigrants resources about family separation at the U.S. border. CLICK HERE for USCCB resources on fighting human trafficking. 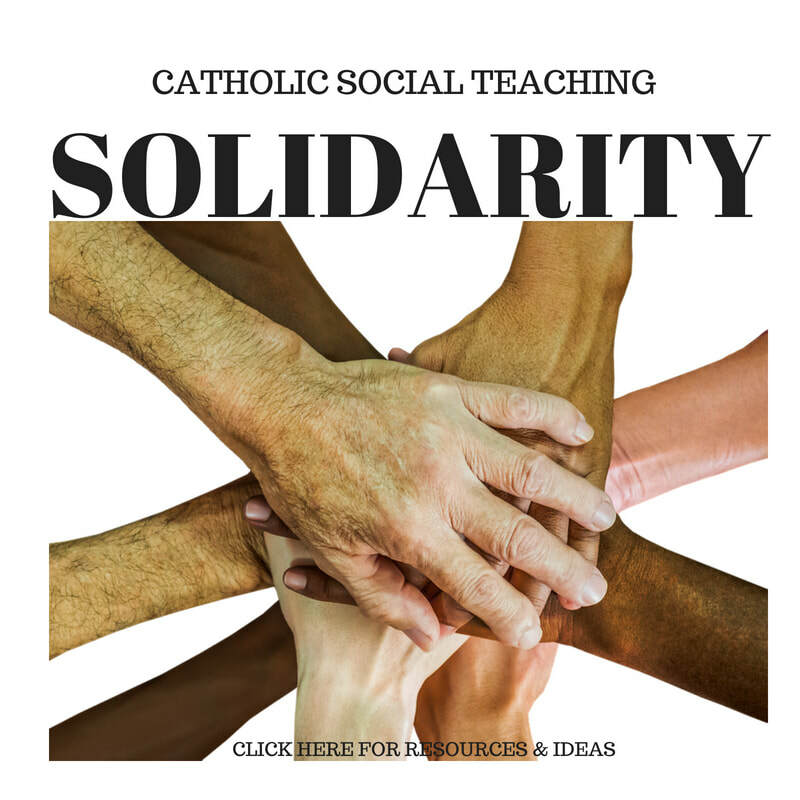 CLICK HERE for the teaching of the USCCB teaching on "Welcoming the Stranger Among Us: Unity in Diversity." 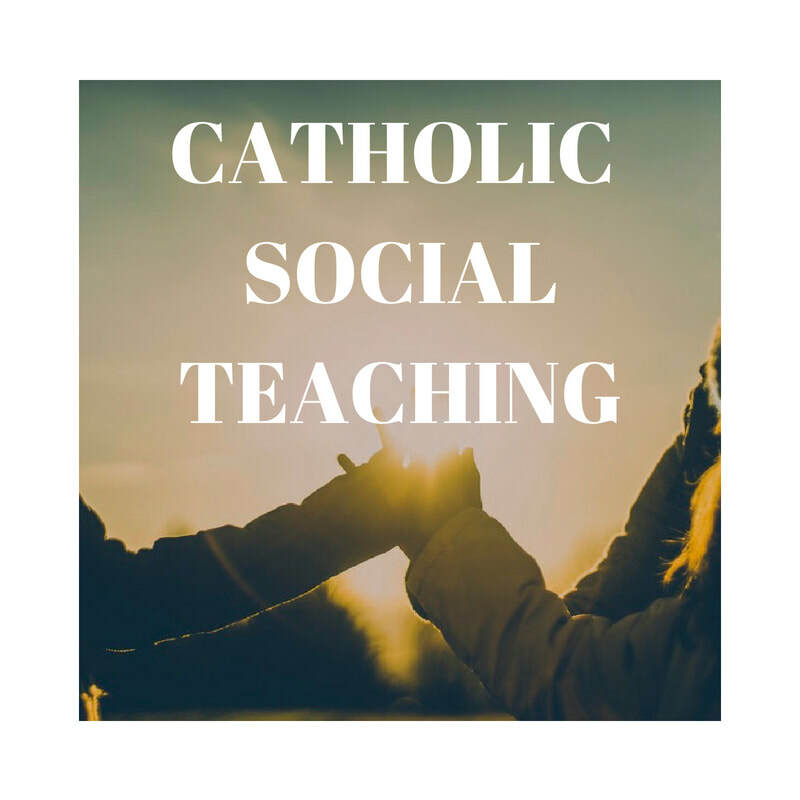 CLICK HERE to link to the Catholic Social Teaching content page of Joe Paprocki's Cathechist Journey website from Loyola Press. 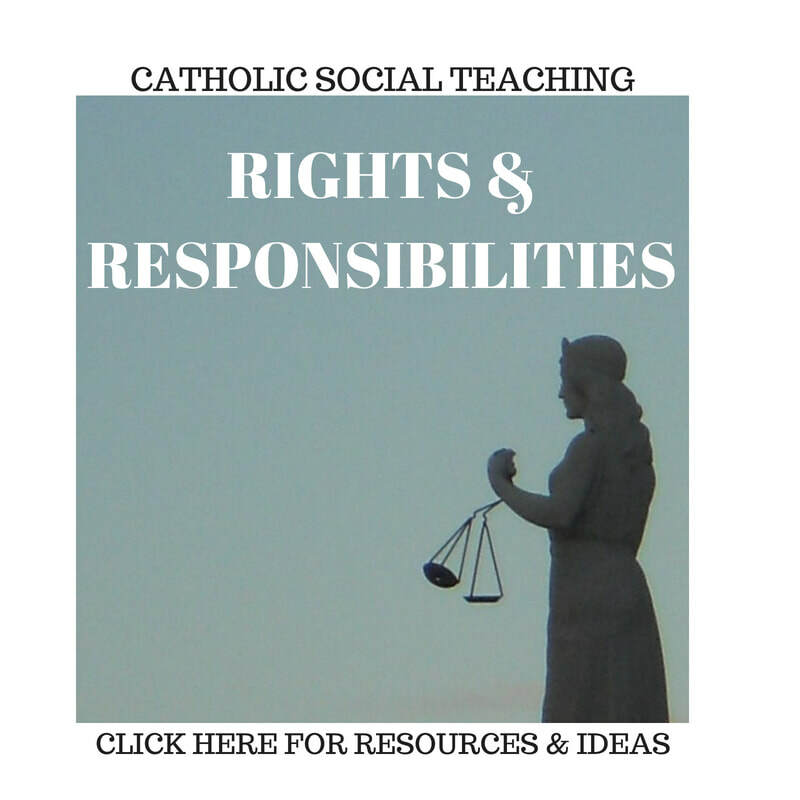 CLICK HERE for a link to Sadlier Religion's beautiful downloadable poster on the Seven Themes of Catholic Social Teaching. 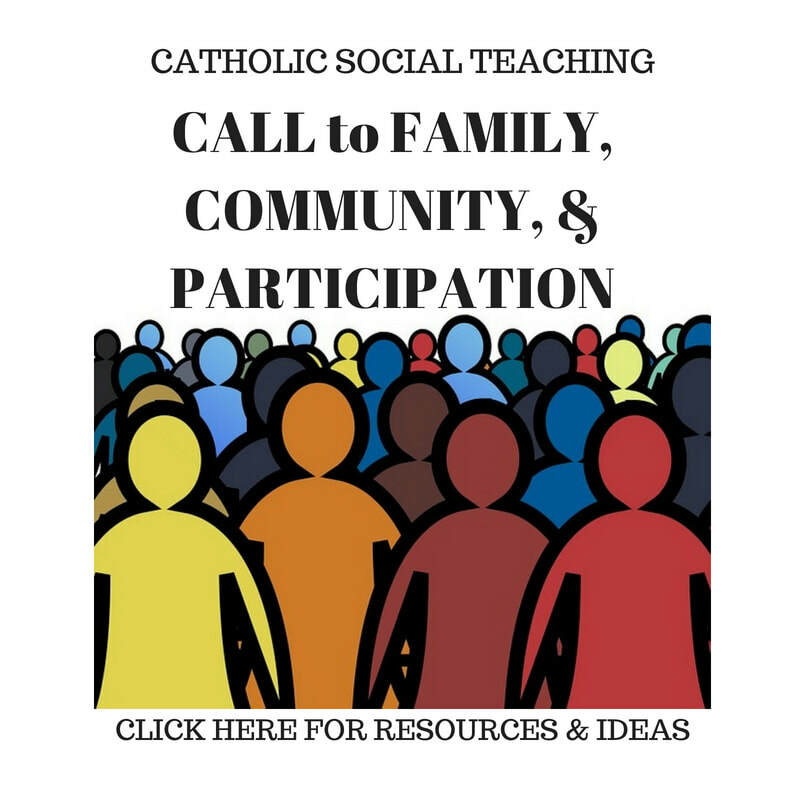 CLICK HERE to access the USCCB's opening page on Catholic Social Teaching. 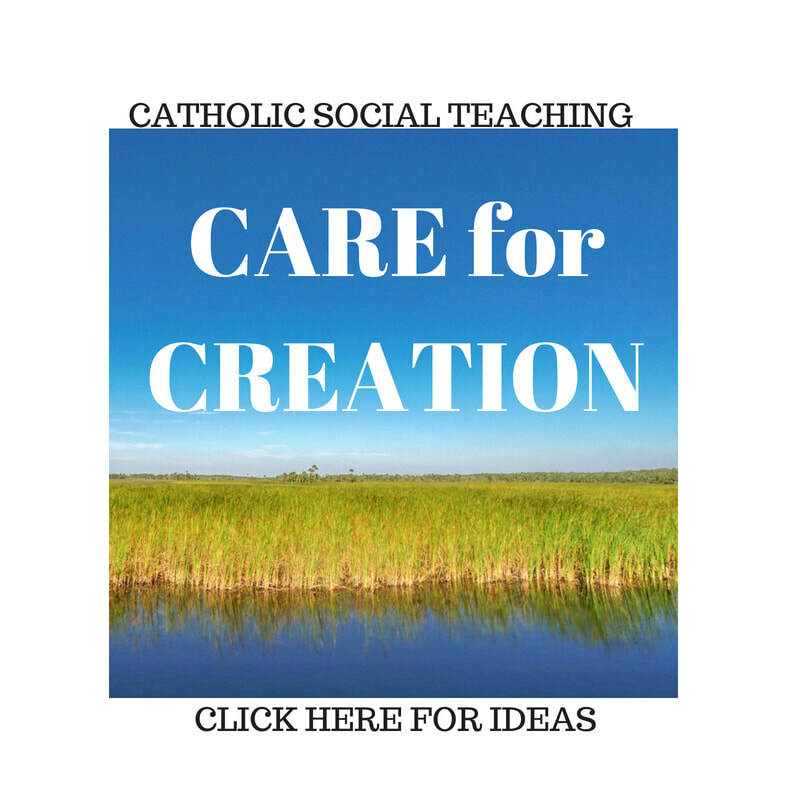 CLICK HERE to get to the Catholic Relief Services CST 101 videos on YouTube. There's one video for each of the seven themes. Each video is less than four minutes. 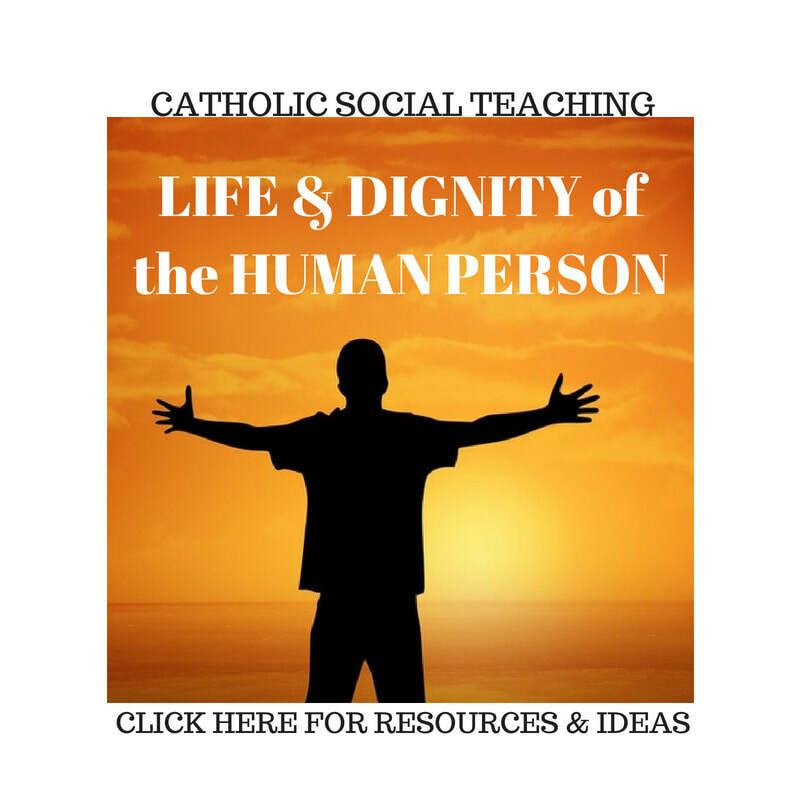 CLICK HERE for a Catechist Cafe page full of peace and justice videos. CLICK HERE for Prayers, Activities, and videos from Share the Journey, a Caritas International initiative, with the USCCB, Catholic Relief Services, and Catholic Charities USA. Information about Fair / Ethical Trade and tips on holding a Fair / Ethical Trade Sale in your parish! or call 330 744-8451 ext 297, or email library@youngstowndiocese.org. A Stranger and You Welcomed Me: A Call to Mercy and Solidarity with Migrants and Refugees. ​The plight of migrants and refugees has been a constant and urgent priority for Pope Francis. On his first trip outside of Rome to the Island of Lampedusa, a waystation for refugees in the Mediterranean, he spoke of the many who have drowned: “We are a society which has forgotten how to weep, how to expe­rience compassion . . . the globalization of indif­ference has taken from us the ability to weep!” In this collection of his writings and sermons, Pope Francis frequently reminds us that Jesus and his parents were refugees in Egypt. He calls on everyone to understand the root causes of the mass movement of people, and to act with compassion and solidarity in response to their sufferings, remembering Jesus’s words: “What you have done to the least of my brothers, you have done to me. 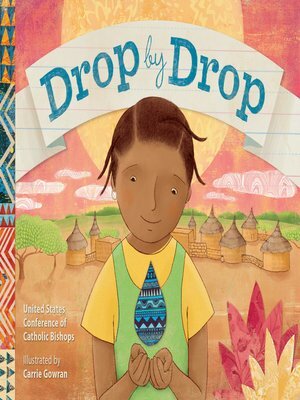 This book is available in our diocesan library. 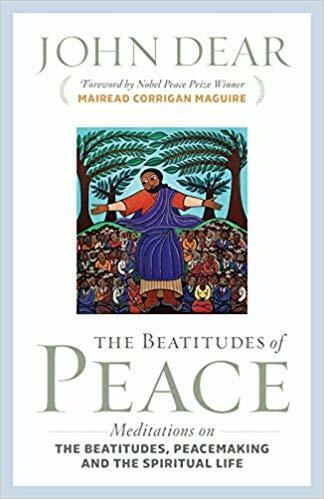 The Beatitudes of Peace: Meditations on the Beatitudes, Peacemaking, and the Spiritual Life. The Beatitudes are “the hope and prayer and vision of Jesus…the blueprint for Christian discipleship, the job description of every Christian,” says John Dear. These stirring meditations are more than mere reflections. They are a call to action, a summons to take up the Beatitudes as a daily handbook for life, written by an internationally known voice for peace and nonviolence. Set against vivid descriptions of peace efforts in places like Afghanistan; Israel; and Los Alamos, New Mexico, Dear combines scriptural wisdom with practical advice from peacemakers like Gandhi (who regularly read the Beatitudes), Thomas Merton, Dorothy Day, and many more. 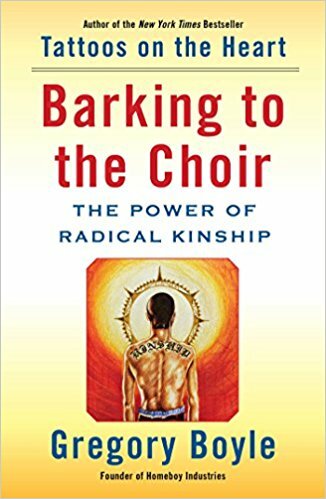 Barking to the Choir: The Power of Radical Kinship. 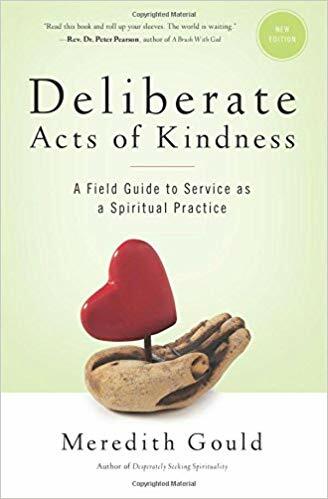 Deliberate Acts of Kindness: a Field Guide to Service as a Spiritual Practice. Discusses service to others as a spiritual practice, offering tips on how to decide where to serve, looking at different volunteer environments, and including contemplative writing exercises. 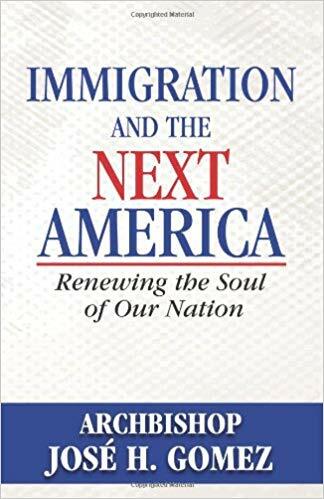 Archbishop José Gomez has written a personal, passionate and practical contribution to the national debate about immigration - pointing the way toward a recovery of America's highest ideals. "Immigration is a human rights test of our generation. It's also a defining historical moment for America. The meaning of this hour is that we need to renew our country in the image of her founding promises of universal rights rooted in God. Immigration is about more than immigration. It's about renewing the soul of America." 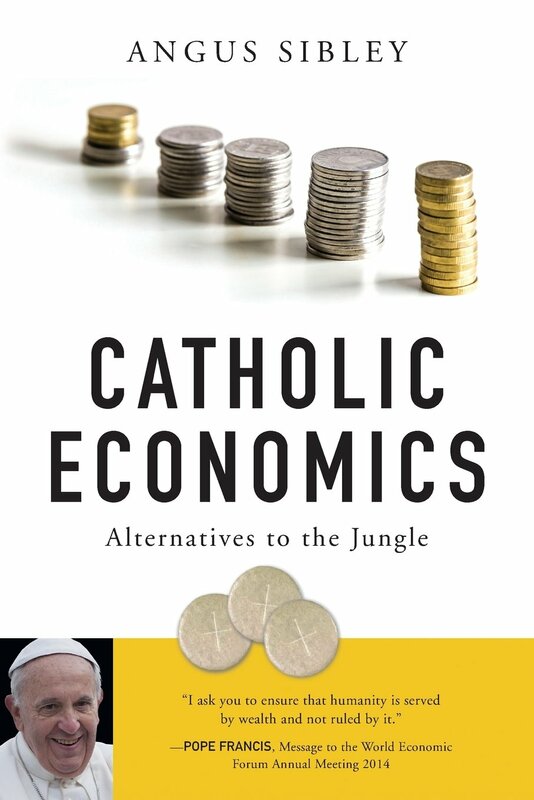 Catholic Economics: Alternatives to the Jungle. Sibley, Angus. Liturgical Press, 2015. Inequality, unemployment, degradation of our environment: these and other practical economic problems reflect faulty economic theories. We have been led astray by ideas that made some sense in the past but are unsuited to our times and by ideas that are fundamentally mistaken. 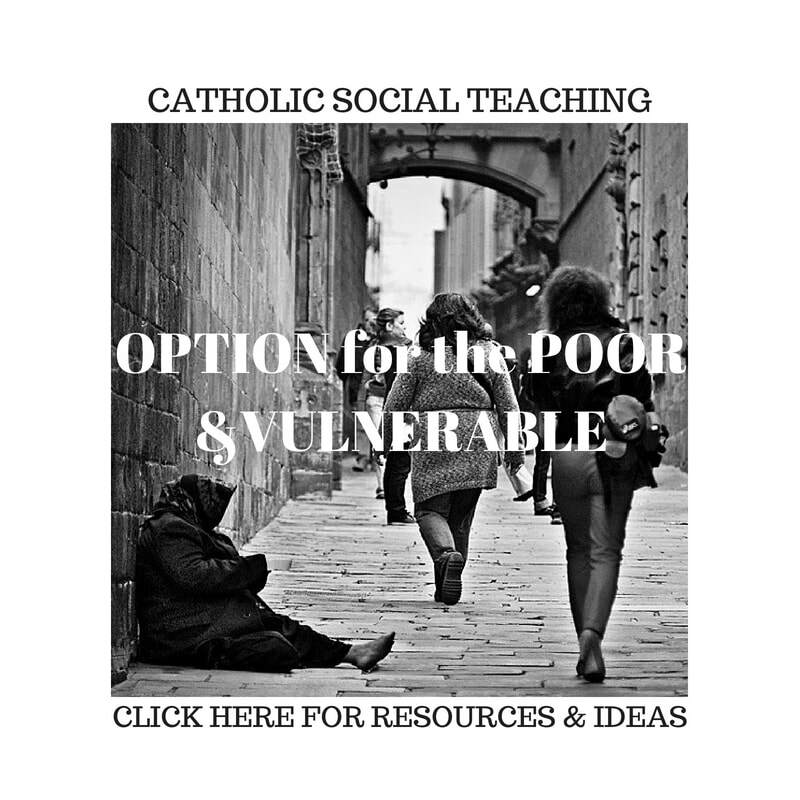 The Catholic Church has an extensive body of teachings on economic and social matters which offers practical alternatives to the economics of the jungle. This book provides clear explanations of major errors in conventional economic thinking and shows how the church's teachings can point us in a better direction. 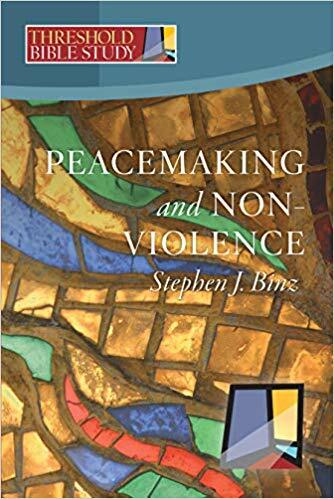 Peacemaking and Nonviolence (Threshold Bible Study). This-six session bible study for adults focuses on the teaching of the prophets and Jesus as a way out of violence, weapons, and war. Learn to read the prophets, the gospels, and letters of Paul and Peter through the lens of the cross. Includes discussion questions for groups and excellent Catholic commentary! 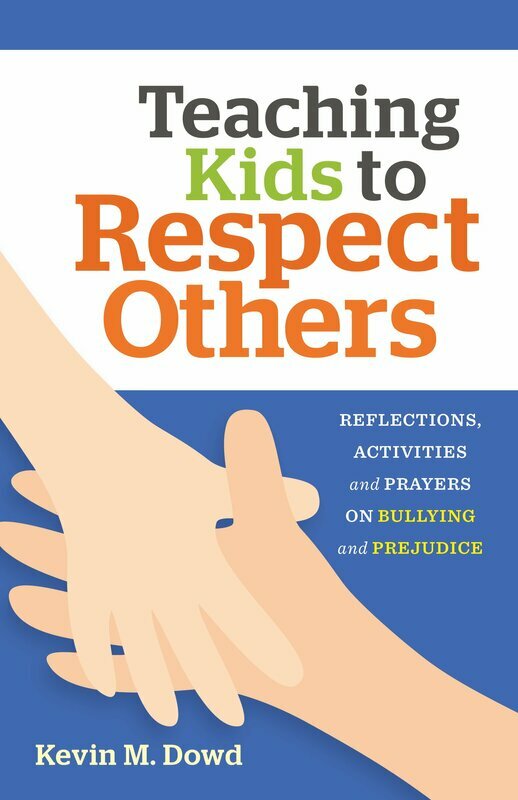 Teaching Kids to Respect Others: Reflections, Activities, and Prayers on Bullying and Prejudice. The epidemic of bullying and disrespecting others fills the news each day. In this excellent and important book, Kevin Dowd offers catechists and parents practical and prayerful ways to help our children learn about and deal with issues of respect, bullying, and prejudice. Among the topics he explores are caring for family, friends, classmates, teachers, people in other countries, people who are different, immigrants and refugees, the sick, and more. 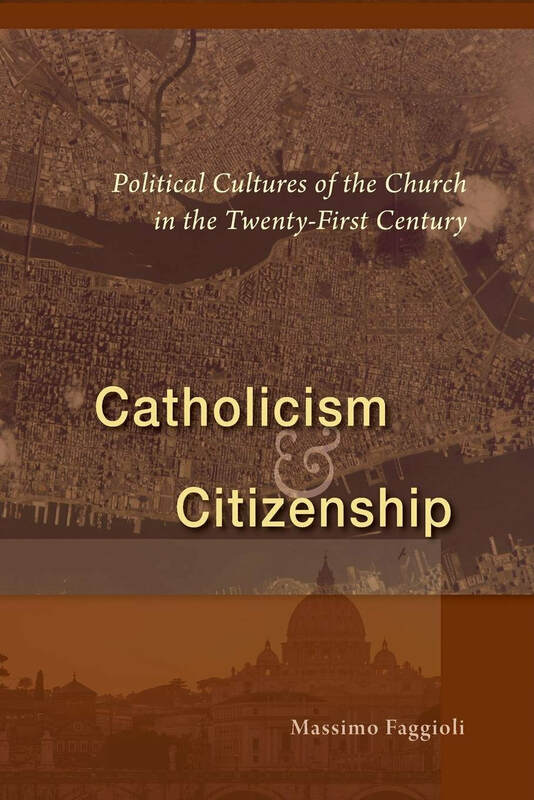 Catholicism & Citizenship: Political Cultures of the Church in the Twenty-First Century. 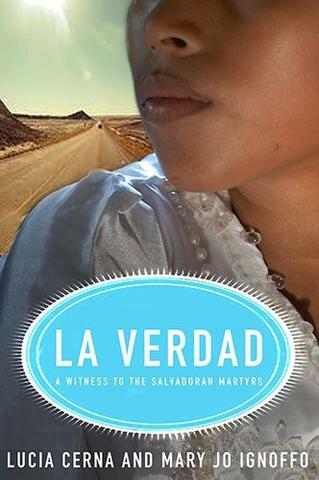 La Verdad: A Witness to the Salvadoran Martyrs. Lucia Cerna, Mary Jo Ignoffo. ​A firsthand account of the El Salvador martyrdoms and the process of resettling the the United States by Lucia Cerna, a housekeeper at the UCA, through transcribed interviews; also an academic and politically adept reading of El Salvador's history and the vagaries of the American immigration system by a local scholar and professor who also translated and transcribed Cerna's interviews. Pray for Peace by Reba McEntire. Pope Francis has approved a revision the Catechism of the Catholic Church #2267 on the death penalty. Available in the diocesan library is this book to help communities and individuals reflect more deeply on capital punishment. It incorporates Scripture, Catholic teaching, and contemporary issues. Death Penalty and Discipleship: A Faith Formation Guide, by David Matzko McCarthy. Catechist magazine has this helpful article on "A Catechism Update!" ​Here are ten ways from the Catholic Mobilizing Network to help with educating, advocating, and praying for an end to the death penalty in our country. The Catholic Conference of Ohio has this issues page on the death penalty, with updates on Governor DeWine's February 2019 halt on state executions. Archbishop Oscar Romero (1917-1980) was canonized as a saint on October 14, 2018. 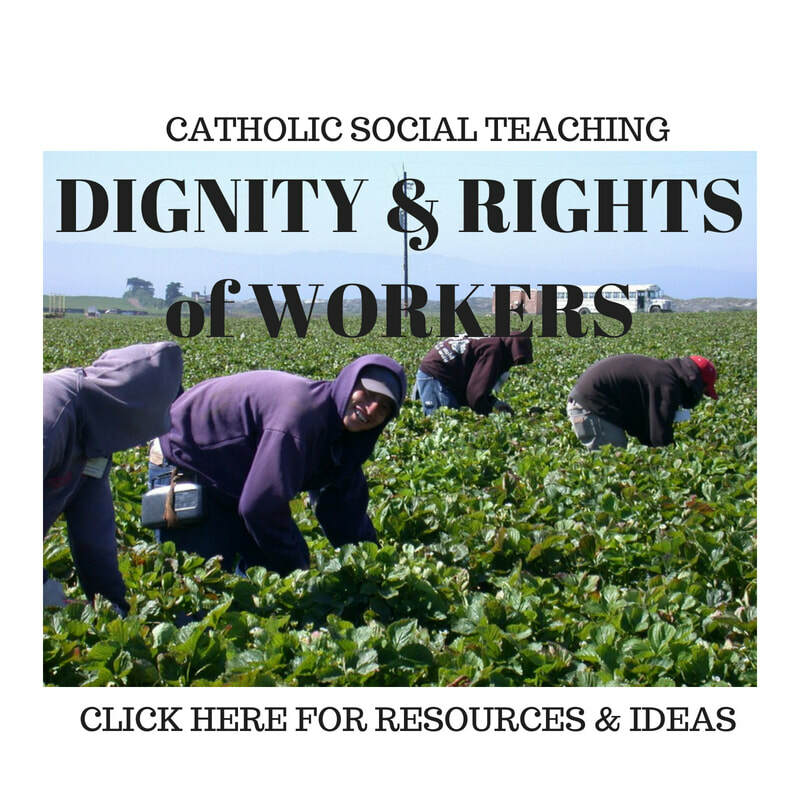 His story shines light on Catholic Social Teaching. 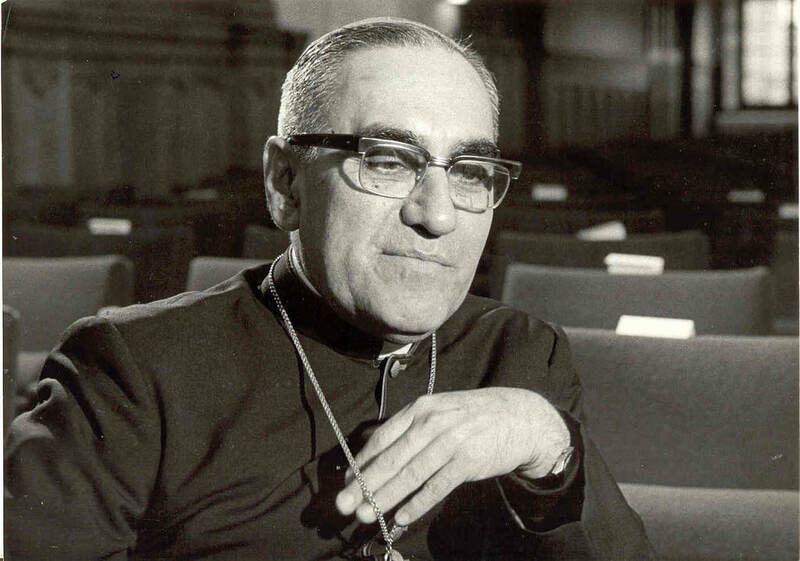 "An outspoken critic of the violence and injustices being committed at the time, Romero was declared a martyr who was killed in hatred of the faith for his vocal defense of human rights." - from the Catholic News Agency article on the announcement of his canonization. For the whole article, CLICK HERE. The Diocesan Library has these resources on Archbishop Romero. CLICK HERE to reserve materials. The Library has the movie Romero, a powerful look at the transformation of the Archbishop from a middle-of-the-road priest to a committed leader for the gospel in El Salvador. ​CLICK HERE to borrow the DVD. This compilation of footage from the last three years of Romero's life is a balanced portrait of a man of great courage. There's a Study Guide with background, glossary, session designs, and reflection questions. Appropriate for teens and adults. A biography drawing from the archbishop's own writings, sermons, and diaries to discuss his life and struggle to win justice for the poor and to end the oppression in his country. Written by a Jesuit theologian from San Salvador who worked closely with Archbishop Romero and has spent much of the past thirty-five years since his assassination reflecting on the meaning of his extraordinary life and witness. ​This 2017 work offers a profound reflection on the implications of the archbishop's recognition as a martyr and on the model of holiness he offers for the wider church today.